Homemade Mocktail Recipe: Porte du Soleil - YoursTrulyHandmade.com - DIY, Home Rennovations and a lot of crafts! The warmest season of the year is never without a chilly concoction ready to cool you off when the heat is too much to bear. In fact, when summer is the topic of conversation, it is nearly impossible not to dreamily picture yourself on a beach somewhere, relaxing on a hammock under the sun, with a cold drink on your hand. This really doesn’t come as a surprise, after all, what better way to not let the heat get to you than brewing an ice-cold beverage to perfection? But how about you take a step back from the dull drinks of water and tetra-packed juices by opting for mocktails instead? Mock cocktails, more commonly known as mocktails, are creatively-crafted non-alcoholic versions of your favorite party drink. A mocktail usually comes in the form of punches, virgin cocktails, or a combination of fruit juices and soft drinks. Just like cocktails, these can be served hot, iced, frozen, or fizzy- whatever tickles your taste buds’ fancy. In today’s recipe, we’re going to teach you how to create the perfect summer drink called Porte du Soleil. This frozen mocktail is a Ramadan special from one of the best French restaurants in Dubai- La Serre’s Bistro and Boulangerie. 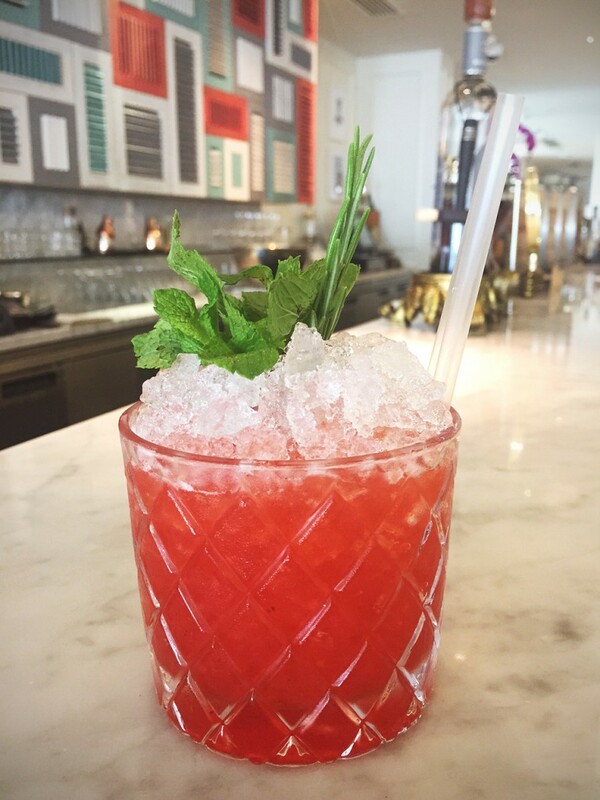 Porte du Soleil, or in English translation- Door to the Sun, is one mocktail you’ll surely enjoy preparing at home whether it’s for a special occasion or just to cool off on a hot, summer day. Before everything else, prepare the date-infused syrup a day ahead by placing chopped dates (quantity is to your liking) into a bottle of rose syrup, refrigerating it for 24 hours. Next, combine all ingredients in a shaker with cubed ice. Shake for a few seconds and pour the mixture over crushed ice in a rocks glass. For garnish, use a sprig of mint and a stick of fresh rosemary. Since Porte du soleil mocktail only takes a few minutes to prepare, you and your guests can enjoy this frozen, sweet-citrusy concoction anytime the warm weather becomes woeful. Want a summer drink with a kick? You can also mix your own creative, insanely-satisfying cocktails at home by checking out these 10 recipes: https://yourstrulyhandmade.com/wow-party-guests-10-amazing-trendy-cocktail-recipes/ .